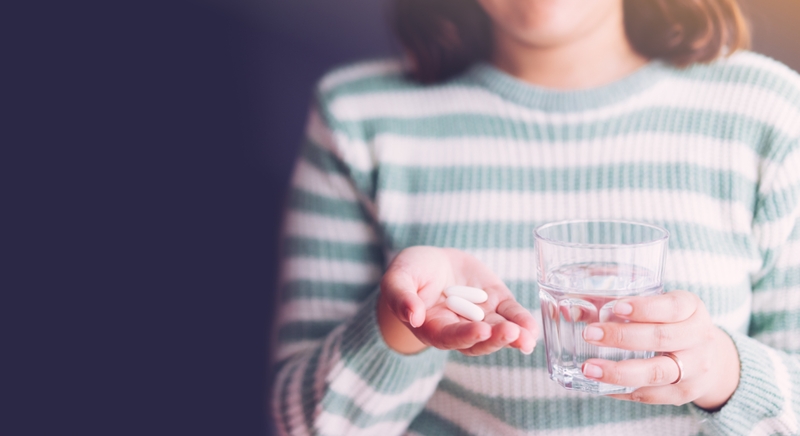 While commonly referred to as ‘the pill’, this abortion method is actually comprised of two pills – one that is taken in the clinical setting, and one that is taken at home about 24-48 hours later. The first pill, Mifepristone or Mifeprex, blocks the hormone progesterone from reaching the embryo. Without this hormone the pregnancy will terminate. The second pill is required to expel the pregnancy as retained pregnancy fragments pose a serious risk for infection and pelvic inflammatory disease. This second pill is known as Misoprostol, and it is responsible for causing the cervix to cramp and dilate. Both pills are essential to complete the process. Does Opting For ‘The Pill’ Mean Less Time In Clinic? Ohio’s 24-hour Informed Consent Law requires women to have a face to face appointment with a licensed physician at least 24 hours prior to either a medical or surgical abortion. The second appointment is often when the Mifepristone, formerly known as RU – 486, is administered. A third appointment enables practitioners to determine if the pregnancy or any pregnancy tissue remain. So, like surgical abortions, at least three clinic visits can be expected. At the third appointment, if the abortion was deemed incomplete, a surgical procedure may be scheduled. The combination of Mifepristone and Misoprostol has been proven 93-98% effective. This method of pregnancy termination can be used within the first ten weeks of gestation, or seventy days from the first day of the last menstrual period. After ten weeks gestation, or in the case of an incomplete medical abortion, a surgical abortion must be performed. Common side effects associated with medical abortions include nausea, fatigue, diarrhea, abdominal pain, cramping, fever, vaginal bleeding with the expulsion of tissue and clots, back pain, and dizziness. The second pill, Misoprostol, has more systemic effects and is therefore, responsible for the majority of the experienced symptoms. Rest is advised to combat side effects. Signs or symptoms of an allergic reaction, including tongue and throat swelling with difficulty breathing, warrant immediate medical attention. The risks of medical abortion are similar to surgical abortion and include infection and pelvic inflammatory disease, or PID. More specific to medical abortion is the risk of retained embryonic tissue. Untreated, these conditions can pose serious threat to your future reproductive health. This is why it is so important to keep your follow up appointments and to follow the instruction of the licensed practitioner managing your care. *The Abortion Pill and The Morning After Pill are NOT the same. The Morning After Pill, also known as Plan B, One Step, or Ella, works to prevent a pregnancy by delaying ovulation or inhibiting uterine implantation. It is, therefore, considered a contraceptive and will not impact or terminate an existing pregnancy. *While some websites claim to sell the abortion pill online, many are fraudulent selling placebos. Protect your health and obtain all medical advice and medications from licensed professionals. *The Abortion Pill, Mifepristone, can be reversed by taking progesterone if a woman desires to reverse her medical abortion. *Up to one-third of all pregnancies can end in a spontaneous termination, and as all procedures carry risks, it is important to determine if a medical abortion is warranted before proceeding unnecessarily. To get the rest of the facts and to find out if the abortion pill is right for you, call Bella Women’s Center for an appointment today! Abortion Cut-Off In Ohio Unplanned Pregnancy – Already A Parent?